In its pilot year, Job Ready Indy (JRI) has shown to be a flexible resource to many Marion County organizations seeking to provide soft skills training. In fact, in the ten months since its announcement, twenty-two organizations have become certified JRI providers with nearly ninety fully certified trainers. Even though providers are all targeting 16-24-year-olds, their approaches to implementing the JRI curriculum differ with their organizational structure. 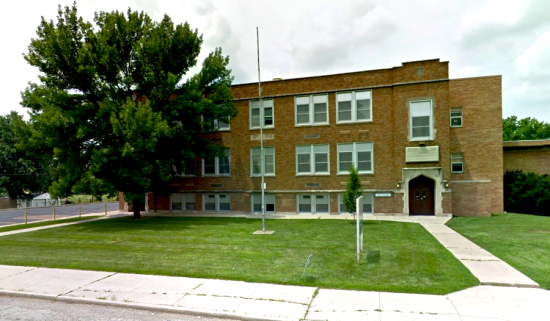 One such organization is Indianapolis Lighthouse Charter – South (ILCS), located near Southeastern Ave. and Emerson Ave.
An early adopter of the JRI curriculum, ILCS incorporated it into their Lighthouse Internships and Field Experiences (LIFE). LIFE seeks to help scholars become confident in their post-secondary pursuits by providing hands-on experience in high school. ILCS proudly partners with over thirty-five Indianapolis businesses to ensure that twice a month, every eleventh and twelfth grade student attends an off campus internship experience. Most employer partners host multiple scholars and several are hosting for their second year. For the handful of partner employers who are not able to host LIFE scholars, they help prepare sophomores by highlighting upcoming LIFE experiences in speaking opportunities. At graduation a LIFE scholar will have accumulated nearly 300 hours of authentic work experience at area businesses. The businesses provide a wide range of experiences such as: child care, music, activism, health sciences, military, education, cosmetology, veterinary sciences, and non-profit development. 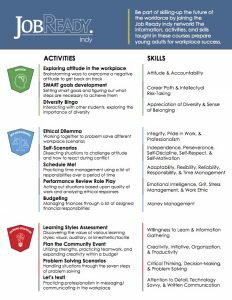 This model aligns with EmployIndy’s E^7 concepts for preparing young adults for the workforce: expose, empower, explore, engage, educate, experience, and employ. As area businesses to expose young adults to their industry and provide experience through internships, they are positioning themselves to have a pipeline of talent to employ in the future. Now in its second year, ILCS’ LIFE program currently has a total of 100 scholars (forty-nine seniors, fifty-one juniors) learning employability skills and exploring possible career fields here in Indy. ILCS’ LIFE scholars engage in Job Ready Indy curriculum to further develop their understanding of self and how they can best function in a professional work environment. ILCS wove the curriculum into their school culture displaying the badges earned by each junior and senior in the hallways, encouraging younger grades about future opportunities. To date, seniors have had the opportunity to earn the Self-Management, Social Skills and Workplace Skills badges. Juniors, just starting out in the program, completed the Self-Management badge in September. In order to earn the badge, scholars must complete each unit in full, pass a quiz and demonstrate mastery in an advisor administered “badge in practice” test. This process allows the scholar to demonstrate both their knowledge and ability to implement each skill. Click to see overview of the Job Ready Indy curriculum. Job Ready Indy, a collaboration with the Mayor Hogsett’s Office and the Indy Chamber, is designed to be flexible and adaptable to existing programs. With badges covering six different sections of competencies, providers can choose to offer one, six, or some combination of badges using their own approved curriculum, free curriculum from EmployIndy, or a mix. By incorporating Job Ready Indy into their existing program, ILCS has provided greater impact for their participants and helped them experience the real-life application of important job skills. 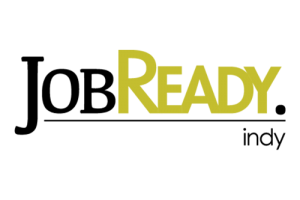 Interested in learning more about job ready indy? Contact us!